Ipad adventures in a primary classroom. Word Bingo... love it! We are using this in my classroom Monday morning! You can set up to 30 player profiles or play as a guest. There are 5 words levels to play from pre-primer to 3rd grade. There is also an option for nouns or just all the words mixed together. Players can create a simple avatar, there are not a lot of options which I prefer....less time wasted on changing it!!! The game can be played in 2 modes: spelling practice (dragging letters to spell a word) or in bingo format, where you listen carefully and choose the word on your bingo card. In the bingo option there is also a game called fling it, where you find the word said and then sling shot it to hit a bug... kind of fun! Finally there is a report card option. It gives details of progress and levels played! I played this last night with my 5 year old daughter, some of the words were definitely not words she could read, but she was able to be successful using the initial letter for many words, and she shocked me with the words she did know! For 99 cents this game is a steal! We also played the lite version of this game last night. It is exactly like the board game except pieces were not falling over and it was counting for us, so there was no "miscounting"! The lite version is free, the full version is 3.99, I have not been able to figure out the difference between the versions. The lite version allows you to play a full game so it was good in my books! Fishdom - my new addiction! This app is mostly just for fun. You need to think critically to get the objects into rows of 3 and make them disappear. The object of each level is to get all the brown background squares "unlocked" by getting 3 in a row and turning the backgrounds blue. I can waste hours here, but my son and daughter sit with me and we all line things up together. This game is expensive. I know we never would have paid 6.99 for it, so it must have been an app shopper deal at one time. This game is perfect for teaching all those positional words. You can go into the settings and turn on or off 20 different positional words such as to the left of, near, furthest, between etc. A sentence is read aloud and 3 pictures are shown. Your job is to tap the picture that matches what was said. A summary report is generated at the end of the session. Apparently you can set profiles for multiple children, I have not looked into this yet. Great app to teach this difficult concept! The voice is very calm too, there are no exciting noises or treasures popping up so it makes the time a bit relaxing! This app is 9.99 and I see there are many more smarty ear apps to check out as well! And finally on a side note........ my family is addicted to watching movies on our idevices. We have been renting from itunes on the ipad and my husbands iphone and hooking up with our hdmi adapter to our tv! The picture is beautiful and NO MORE LATE FEES! The downfall..... it takes a LONG time for movies to download so it can not be a spur of the moment decision! Last nights purchase was Hugo..... and we are anxiously awaiting these guys. It's An iWorld After All! What Does technology Look Like In Grade One? 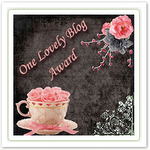 An Award for L'il Old Me!